Visitors to this blog are probably quite familiar with our PCoIP® technology. This remote display protocol already encrypts and delivers virtual workspaces and applications to over 13 million endpoints around the world. Whether originating from private data centers, public clouds or multicloud environments, our users depend on PCoIP to deliver secure, lossless visualization. This week, we announce the future of PCoIP with a set of enhancements dubbed PCoIP Ultra™. For users – typically working with high-demand applications such as those used for visual effects, broadcast video, animation, computer-aided design (CAD), financial trading, or medical imaging – the dramatic improvements in responsiveness provided by the PCoIP Ultra enhancements will enable them to work remotely with these emerging content formats as seamlessly as if they were using a high-powered, expensive workstation at their desks. Their IT teams will find that this enables a cohesive solution across their organizations regardless of location or requirements, and the highest level of security for all users, reducing risk and support time. "We're excited about the potential of the protocol enhancements to further improve the software's performance, helping us to deliver a leading edge experience to our artists." 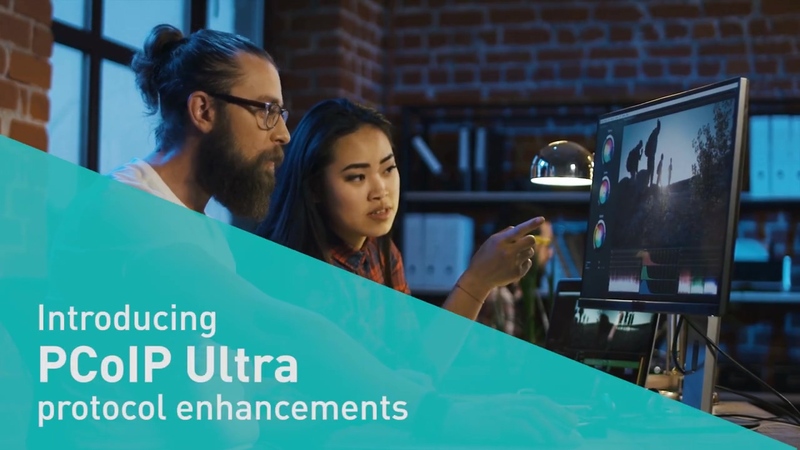 For customers like, DNEG, a leading global visual effects studio, the support for high frame rate content and GPU acceleration in PCoIP Ultra offers a potential benefit to both user experience and productivity. "Virtual workstations enable DNEG to be more nimble, efficient and competitive, but only if our artists’ experience is consistent in quality and speed," said Graham Jack, CTO for DNEG. "Teradici understands that and has worked with us continually to ensure that the performance of the virtual workstation solution delivers what we need. We're excited about the potential of the protocol enhancements to further improve the software's performance, helping us to deliver a leading edge experience to our artists." Teradici’s recent collaboration with NVIDIA to enhance the PCoIP protocol to support GPU acceleration with Quadro Virtual Data Center Workstation software and the NVIDIA RTX Server is the first example of the expanded multi-codec support in PCoIP Ultra. The PCoIP Ultra enhancements will be available as a technical preview to Cloud Access Software customers in mid-April. General availability is scheduled for May, 2019. Visit the Teradici Cloud Access Software page for more information.